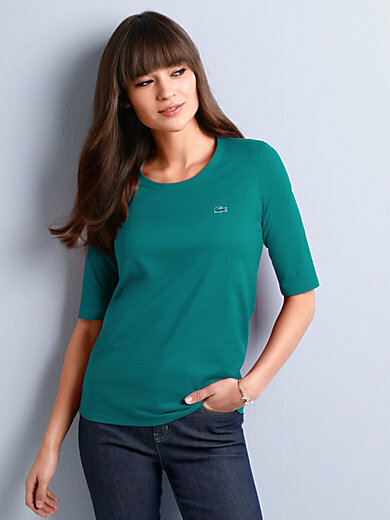 Round neck top by LACOSTE. Design TF5621. With longer 1/2-length sleeves. Perfect to wear ­solo or for layering, this top is suitable to wear throughout the year. 100% cotton. Length approx. 26ins.The round neck top is machine washable.